IRISH mum Susan Erbacher was with her six children in their Forest Lake home when Ireland voted ‘Yes’ to legalising abortion up to 12 weeks. “I was here with my children on Saturday morning, and they had been asking me about it because they had prayed hard for a ‘no’ vote,” Mrs Erbacher said. The 38-year-old, stay-at-home mum was among thousands of Irish pro-life supporters grappling with an historic vote to legalise abortion in Ireland. “It was just utter heartbreak,” Mrs Erbacher said of her reaction to the support for abortion in Ireland. In an historic vote, Ireland will no longer recognise the equal rights of a pregnant woman and her unborn child in the country’s constitution after the majority of the Irish voters opted to legalise abortion. Following a referendum on May 25, the Irish government will introduce new legislation by the end of the year to allow abortions within the first 12 weeks of pregnancy for any reason, and up to 24 weeks if the mother or foetus’ life is at risk. The referendum asked voters if the historically Catholic country should remove the Eighth Amendment from the constitution, which recognises the equal right to life of a pregnant woman and her unborn child. 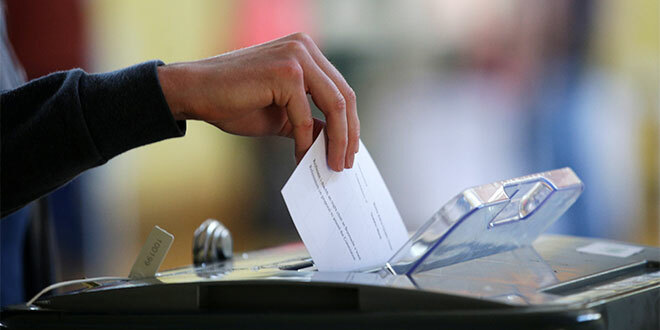 Results from the nationwide referendum held on May 25 showed that 66.4 per cent of citizens opted to remove the Eighth Amendment from the constitution, while 33.6 per cent voted to retain it. Before moving to Brisbane seven years ago, Mrs Erbacher was involved in the pro-life movement in Ireland, particularly with Youth Defence, a group founded after the country’s 1992 referendum to legalise abortion. “It is a culture in our family to do everything that we can for the unborn,” Mrs Erbacher said. As an Australian resident, Mrs Erbacher was unable to vote in the referendum because Irish citizens living abroad cannot be entered in the register of election. According to Ireland’s citizenship website, citizens must have been resident on September 1 in the year before the register comes into force. Brisbane teacher Ora Duffley, an Irish-born Catholic who was also unable to vote in the referendum, was stunned at the poll results. “The result is so much worse than we thought it was going to be,” Miss Duffley said. Changing laws: A voter casts his ballot May 25 in Dublin as Ireland holds a referendum on its law on abortion. Voters went to the polls May 25 to decide whether to liberalize the country’s abortion laws. Photo: CNS/Max Rossi, Reuters. After receiving a phone call from Ireland about the result, Miss Duffley had a moving encounter with a young girl with Down Syndrome, who placed a hand on her lap. “She was looking at me as if to say, ‘I know what’s happened and I know that you love me’,” Miss Duffley said. “I read recently that 90 per cent of children in England are aborted because of Down Syndrome, and 100 per cent of children in Iceland are aborted with Down Syndrome. “It was just so heartbreaking to think these children are just not loved, not cherished, not deemed worthy of life. “Who has the right to decide that? If she had the chance to vote, Miss Duffley would have voted “100 per cent no”. In a Facebook post following the referendum results, she echoed the words of Pope John Paul II, who in 1995 met two pro-life Irish Catholics working for Youth Defence. “May we always remember the words of Pope John Paul II who told Niamh (Nic Mhathuna) and John (Heaney) when they met him in 1995, ‘Continue in your apostolate and be courageous’,” she wrote on Facebook. Months before the referendum on May 24, hundreds of thousands of Irish voters had participated in a nationwide campaign including a public rally to save the Eighth Amendment. Pro-lifers ran campaigns encouraging citizens to vote no and retain protection for the unborn. But for Anne-Maree Quinn, an Australian health professional who lived in Ireland for more than nine years and worked for the National Pro-Life Campaign, the Save the Eighth movement was doomed to fail. “Everything was against the campaign – the media, the leading political parties and even major celebrities – despite all this the ‘no to repeal’ side demonstrated a strong cohesive grassroots campaign leading up to the referendum,” Ms Quinn, who completed postgraduate studies in moral philosophy in Dublin, said. Miss Quinn, who ran as an independent candidate in the Dublin City Council elections, also questioned the legitimacy of voting practices around the referendum, as there were reports of thousands of Irish women living overseas returning to Ireland to vote. “Polling directly prior to the vote placed the vote neck and neck,” Miss Quinn said. She said May 25 was “a truly sad day for Ireland”, which was once looked to “as a beacon of light for standing up for the most basic of human rights and the protection of the most vulnerable”. “A country who, without abortion, has one of the lowest rates of maternal mortality and a special gift for caring for those individuals with disabilities and chronic illness,” Miss Quinn said. 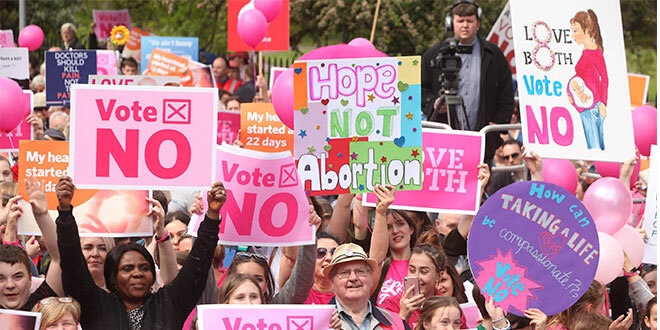 Following the results, the Save the Eighth campaign promised to oppose legislation “that will allow babies to be killed in our country”. “What Irish voters did…is a tragedy of historic proportions,” the campaign said in a statement. “The unborn child no longer has a right to life recognised by the Irish state.